2016 is shaping up to be an outstanding year for RPGs of all shapes and sizes; with Fire Emblem Fates, Stranger of Sword City and Dark Souls III already out in the market and Shin Megami Tensei VI Apocalypse, Tokyo Mirage Sessions and 7th Dragon III coming out sometime this year (among many, many others), anyone who’s been hurting for RPG goodness is almost certainly jumping for joy this year. 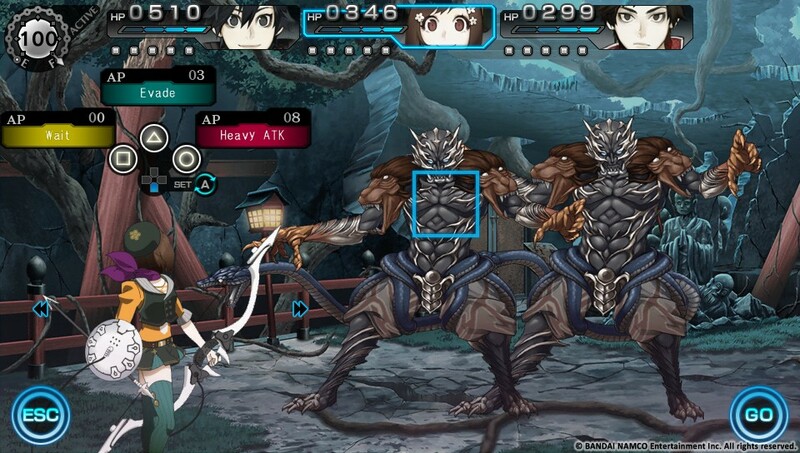 One game that hasn’t been getting as much mainstream attention, though, is Ray Gigant, a dungeon crawling RPG from Experience that’s coming to the Playstation Vita next week. 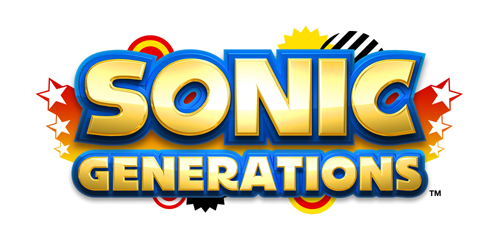 Originally released by Bandai Namco in Japan, the game is being brought to the US by Acttil, Inc, a company best known, up until this point, for being involved in bringing Superbeat Xonic to the US, so the game’s lack of heavy publicity isn’t surprising. That said, Experience is no stranger to the US market, as games like Demon Gaze and the aforementioned Stranger of Sword City were masterworks in how to make a dungeon crawling RPG, even if some elements were more archaic than others. Ray Gigant follows in the mechanical footsteps of its predecessors, but also showcases a style and presentation that’s wholly different from those games, and interestingly enough makes an argument that it could be the game that Demon Gaze almost was: a dungeon crawler that’s good for introducing newcomers to the genre. We’ve spent some time with the final product, and while a review is a few days out yet, there’s a lot to talk about for those anticipating the game, so let’s get started. 1.) 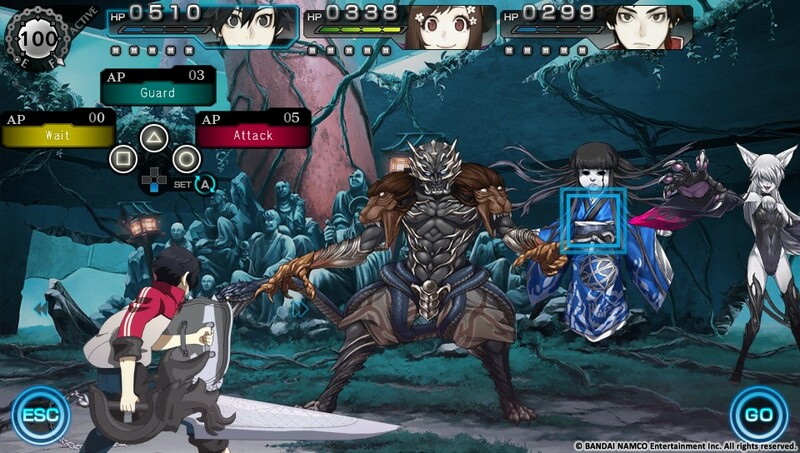 The storyline of Ray Gigant borrows from the tropes set into place by franchises like Attack on Titan, Evangelion and God Eater: the world is somewhat ruined after an attack from super-powerful monsters (the Gigants) and only a handful of teenagers can face them down in battle effectively to save the rest of the world. The plot starts off focused on Ichiya, a young man who has the power to fight back against the Gigants but is reticent to use it, as he’s paired off with Mana and Kazuomi, who also have the power (albeit a weaker version of it) and find Ichiya to be far less impressive than promised. The plot’s a bit trope-laden so far, which isn’t bad, but the core hook of the game is that it features a variable protagonist story that swaps between three total teams over the course of the game. This is interesting in theory, but how well it works will depend on how well the plot can flesh out all three teams, and how the final act brings them together. So far there’s enough here to be optimistic, if a bit concerned over the trope-laden nature of things, but it’s certainly not bad so much as familiar. 2.) Visually, Ray Gigant is almost certainly the most attractive Experience game yet, due almost entirely to the fact that there’s some substantial animation to everything this time around. Prior Experience games have utilized still artwork for characters and enemies, but this game utilizes animated models to show off its cast, and they look fantastic. Actual combat effects aren’t animated, sadly, but the character and enemy models still look great when they’re in action and the combat effects that pop up on-screen are fine so far at least. Aurally, however, the game features a fairly notable (and interesting) departure from the standards of the genre in one key respect: its music. While most JRPGs in recent years have featured soundtracks that are heavy on either rock music, synth work or orchestral scores, Ray Gigant features a surprisingly jazzy soundtrack in the early stages that’s very horn-heavy, and astonishingly, it works exceptionally well. You wouldn’t, at first glance, think that a soundtrack reminiscent of Lupin the 3rd would work in a monster-killing dungeon crawler, but trust me when I tell you, it’s so good. 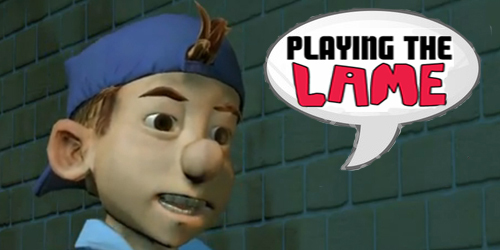 There’s some solid voice work here as well, and while the game exclusively features the Japanese dub, so far, the work put in is quite good, so fans of Japanese language tracks should find it to be quite enjoyable. 3.) 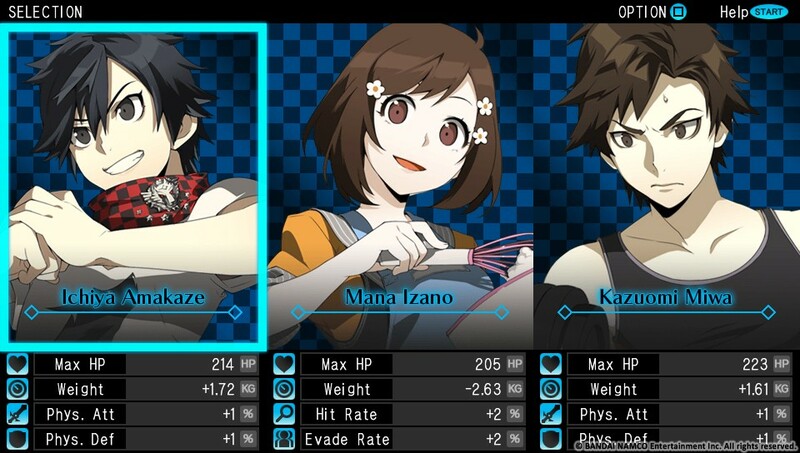 If you’ve ever played a dungeon crawling RPG in your life, Ray Gigant mostly works in a way that you’ll find immediately understandable, though it utilizes some Experience specific tricks to keep it interesting. Your party moves through an entirely 3D dungeon from a first-person perspective, but unlike most dungeon crawlers, and your general objective is to get to a specific location (often a boss battle or exit), all while evading traps and fighting enemies along the way. 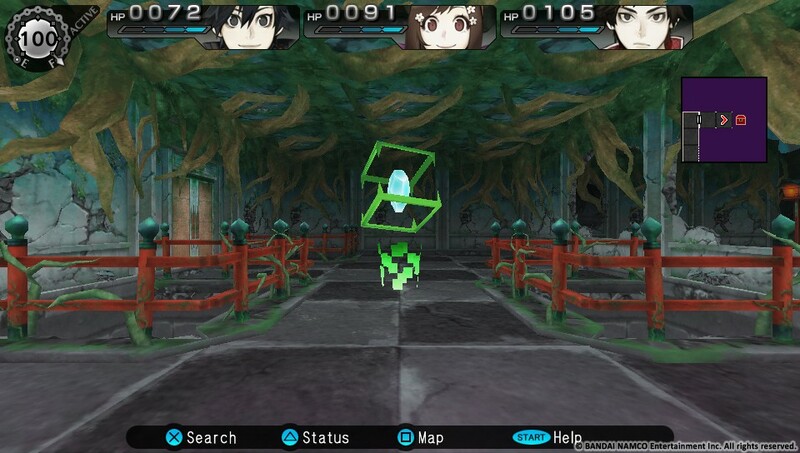 Movement within the dungeon is fairly simple, though unlike most Japanese dungeon crawlers, combat is based entirely around hitting enemy icons on the map to engage in battle, so there’s no random combat to speak of. The game also offers a full auto-map, as in most Experience games, though it interestingly also shows you the locations of all of the treasures and enemies on the map before you start, so you always know what you’re coming up against as you go. The map also offers you the ability to fast-travel to any discovered location on the map for easy movement to places you’ve already been, and so far, you can even escape from the dungeon whenever you wish from this same map screen, which is a simple but surprisingly enjoyable mechanic. 4.) The biggest changes to the formula, however, come in when you jump into combat, as the combat mechanics are a lot more strategic than you’d expect. You’re generally set up with a three person team in the beginning (and from all indications, at all times), and in the early going, each character has three actions available to them in combat: a damage-dealing move, a defensive move, and a “Wait” command. You can dictate up to five actions to any character from that list, with two caveats: Wait commands can only be done by themselves, and all other actions cost points from an Action Point meter in the upper left corner of the screen. Each action has a cost, you see, which varies depending on how powerful the action performed is, and as you dictate actions, you also burn points from the meter until it bottoms out. To counter this, you can dictate one or more characters to Wait, which replenishes points but removes their ability to do anything else and leaves them open to attack. It’s not the most mechanically friendly system (the way it’s designed to utilize the D-Pad can be confusing at times), but it’s surprisingly engaging from a tactical level, as it makes you think about what to do and who to do it with when you play. It’s also worth noting here that characters have Weight levels that dictate how they perform in battle (heavier characters hit harder but slower, lighter characters hit and evade faster but for less damage) that’s influenced, among other things, by whether they act in battle (which burns Weight) or Wait (which adds Weight). As such, swapping around who Waits and who attacks can balance Weight, which adds even more depth to the system. Finally, you should also be aware that enemy markers can either be Encounters (yellow icons), Light Encounters (blue icons) or Heavy Encounters (red icons), which dictate how expensive actions are to perform. Put another way, Encounters cost the normal dictated cost, while Light Encounters halve the cost and Heavy Encounters double it. This provides an interesting balance to battle choices, as the game seems to enjoy putting Heavy Encounters in front of treasures and shortcuts, making weighing the AP cost another part of the challenge. 5.) 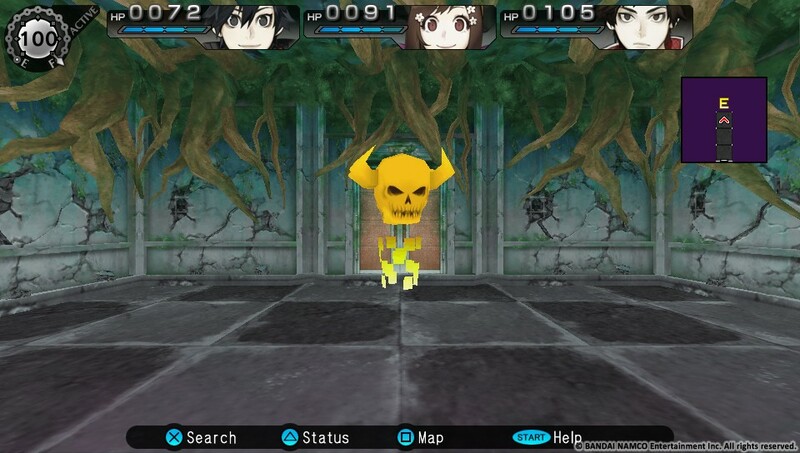 The game also utilizes an odd level up system that, interestingly, only rewards grinding to a certain point, instead rewarding exploration and discovery over heavy grinding over time. Basically, characters can only level up when they find Seeds, Forces or Materia, each of which improve different things for the cast. Seeds are your standard “Level Up” items, allowing you to improve one core stat for one character when used, between physical stats (damage/defense), magic stats (damage/defense) and agility stats (hit/evasion). They’re rare, however, and don’t seem to drop in random combat at all, so you can only level up so much. Force and Materia, however, can drop normally, and are generally used to improve your skills and gear, respectively. Force items allow you to buy new skills for each character from their respective tree, and while they’re a rare drop, they can allow you to unlock some useful stuff. Materia, on the other hand, allows you to upgrade the levels of your equipment from four categories: weapons, shields, armor and food. Once leveled up, you can use Breed gems (also random drop items) to build new gear right from the character screen, and characters can generally build two to four items per type of item, each of which improves as you level up, and each of which has different stats. The first three item types can be equipped directly to the character, while food can be added as a combat option for healing or weight changes during battle as needed. You’re also able to find Alter and Reverse gems, which let you respec character stats and Forces as needed if you have the gems to do it, so you can rebuild if you think you need it. 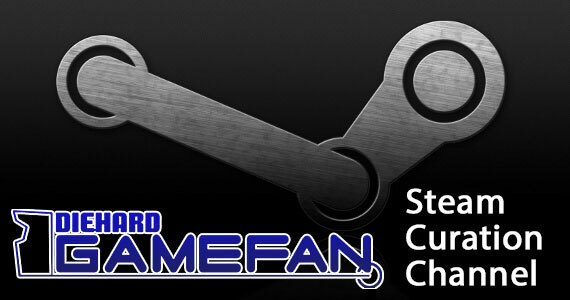 It’s an interesting system, conceptually, that only rewards grinding to a limited extent, and it’s great for those who aren’t thrilled with the heavy grind such games can ask of you. How it works in the long run remains to be seen, but it feels balanced so far, if nothing else. 6.) By far the most surprising addition to the game, though, comes from the Slash Beat system, as it’s so completely foreign a concept in a dungeon crawler that it’s still kind of surprising, even after having utilized it a few times in-game. Basically, as you engage in battle with enemies, a meter in the upper right (the Slash Beat Meter) fills up, and once it’s between fifty to a hundred percent full, you can kick on either a half (at fifty to ninety nine percent) or full (at one hundred percent) Slash Beat. This is, essentially, a rhythm mini-game where you press an action button as icons move into target circles on the screen, and successfully pulling this off adds an attack to the Slash Beat combo that will be unleashed at the end. As rhythm games go it’s perfectly functional, and if you’re very good at such things you’ll likely even find yourself mixing up attacks to deal more damage in combat to enemy weak points. On the other hand, it’s hard to know how players will react to it; it’s a powerful attack, to be certain, and I honestly think it’s really neat, but if you’re not a rhythm game fan it could be off-putting to have to do this thing, and the game doesn’t really allow you an alternate option. It’s certainly novel, though, and fairly easy to adjust to, at least in the early going anyway. 7.) After some fairly lengthy conversations that establish the world at large, you’re sent off to the first dungeon, which is fairly simple in structure; it’s decently large, size-wise, but only one floor, and the layout is fairly easy to figure out. All of the enemies you can face are visible from jump, as are your objectives and treasures, and the game doesn’t try to do too much to mix things up, though I’d expect it’ll progressively ease players into new mechanics as the game goes on. 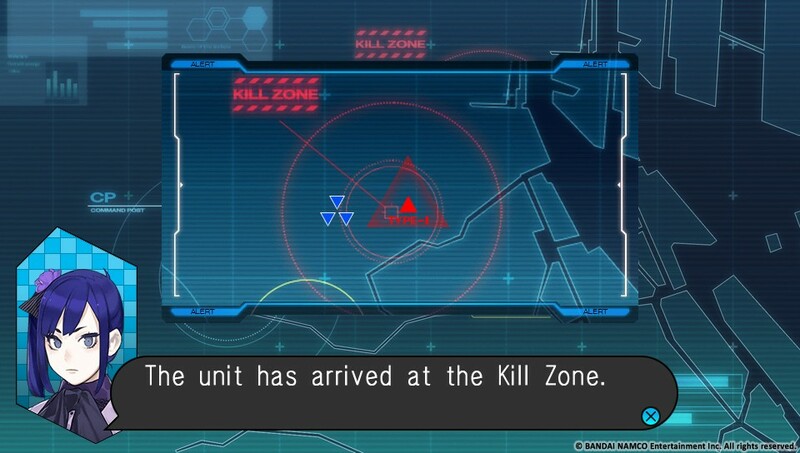 Heavy Encounters are often placed in front of optional, but valuable, locations, and most of the mandatory enemy placements are Encounters or Light Encounters, to ease players into the systems. There’s even a boss fight at the end against a generally more powerful monster, though it’s nothing beyond the pale from what you’d expect. The most interesting things presented at this point come down to the in-dungeon save point and what happens afterward. The first dungeon only has one save point, located fairly close to the boss, that allows you to save your game and even resurrects unconscious allies if any have fallen during battle. However, it also serves to fulfill two additional functions during play. The first is that it completely fills in the map, so if you haven’t figured how to get to a specific treasure box or to the boss yet, it instantly shows you the way, which should be good for later dungeons if nothing else. The second is that it allows you to completely resurrect the dead enemies in the dungeon, allowing you to grind some more without leaving the dungeon if you wish. Further, when you complete this dungeon, they allow you to go back twice more, the first time for general “get stronger” grinding, and the second to do the same and collect more items. In fact, this seems to be a reoccurring trend, such that you can likely expect to be able to grind as needed at the end of each chapter before moving on if you wish, which isn’t a bad idea. 8.) Once you’ve completed the dungeon and done all the grinding you can stand, it’s off to the main boss battle for the chapter, which works mechanically in the exact way you’d expect, but on a much larger scale. In this case, your team spreads out around a multiple-story tall boss monster, with the melee character taking point and the mage and ranged unit standing off to the sides to deal damage from a distance, which is impressive from a scale perspective at least. Otherwise, though, the battle isn’t much different from the prior boss battle; you choose your actions, unleash hell and patch up as needed. It’s a very cool battle from an aesthetic perspective, at least, which I enjoyed, but otherwise there’s nothing to it that you won’t have seen in the boss fight prior outside of that aesthetic variance. 9.) There are a few other odds and ends worth noting, both good and bad, that came up in the first few hours of play that don’t really fit in anywhere else at this point. For one thing, the game fully supports both Vita and PSTV play, so those of you with a PSTV can rest assured the game will work out just fine for you. For another thing, the game mostly runs fine in battle, but shows some mild slowdown at points during dungeon exploration; it’s minor and inconsistent, and this isn’t the sort of game which will be negatively impacted by such a thing, but it’s worth noting all the same. As mentioned before, the combat controls also take a bit of getting used to; instead of selecting options from a normal menu you have to press the button assigned to the skill you want to use, then press left and right to cycle units, and up to finalize choices. This can take some adjusting to, and even at the end of the first dungeon I was honestly having issues where I occasionally pressed the wrong option, just because of how odd it is compared to other games in the genre. The turn-based nature of the game makes this only a minor concern, fortunately, but it’s still frustrating when it happens. 10.) 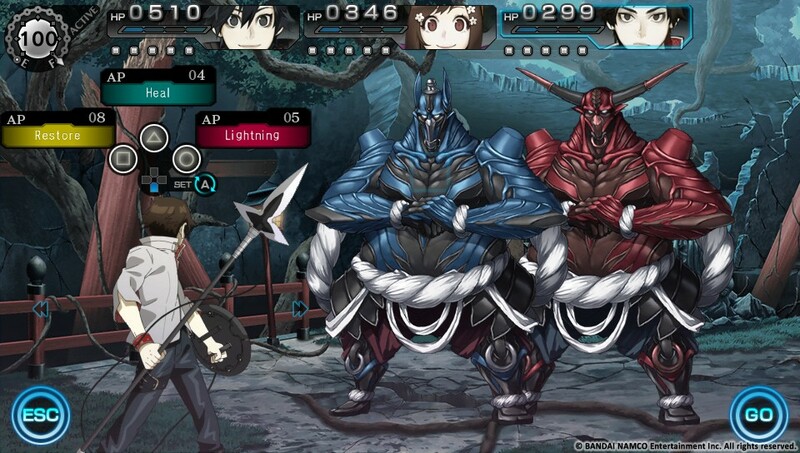 Ray Gigant definitely feels like it’s trying to be a game that can draw in more casual dungeon crawler fans, between its anime style and interesting play mechanics, and if the final experience matches the early game progress, it’ll be easy to recommend to most genre fans overall. The presentation really feels top notch, and while the plot is a little trope-laden so far, it’s generally solid enough that it’s carrying the game forward. The mechanics, on the other hand, are really unique and interesting, combining common dungeon crawler elements with some really unique and different systems, including rhythm game elements that make it really surprising as an experience. 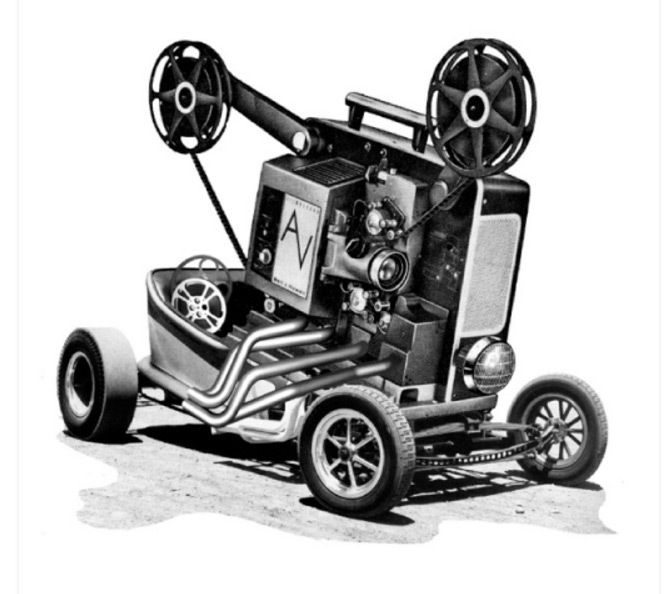 There are some technical and mechanical hiccups that rear their heads early on, but how they impact the overall experience remains to be seen. 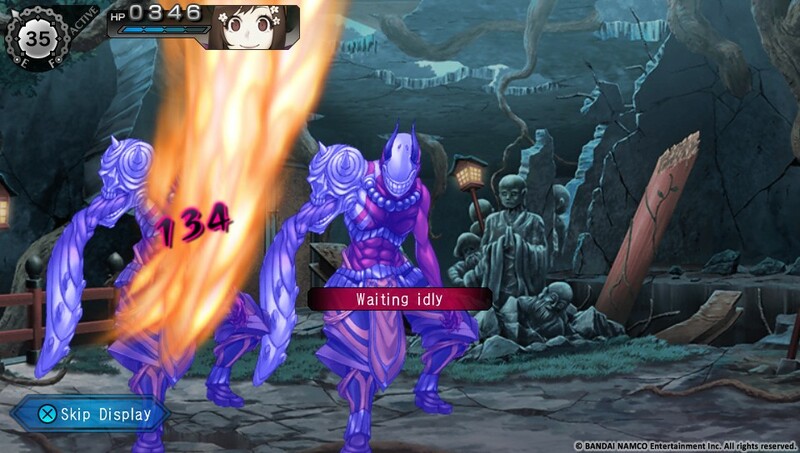 One thing to say for sure is that we’ll have a more complete review coming up in the coming days, so keep an eye out to see if Ray Gigant is something to keep on your radar. Nice one, I’ve been planing to get me a ps vita, this game seems to be a must.